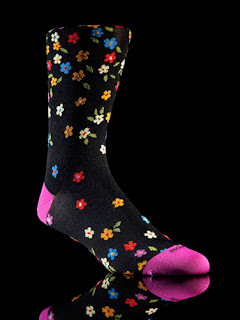 Socks may have been around for the last five hundred years or so but they have undergone another minor Renaissance amongst international designers. I have always had a soft spot for stripey shirts, old school and regimental ties, and a renewed passion in well made and designed socks. I've purchased over the last several months socks from Corgi, Paul Smith, Duchamp, Pantherella , and Holt Renfrews own in house brand. Other than when wearing boater's, sandals, or sports related footwear I'm always wearing a good well constructed pair of socks whether made from wool, cashmere, or cotton. I'm not a big fan of plain colours and like my choice in shirts and ties I like bright, colourful, and bold colours and patterns. Proper dress may dictate the blending of pants, socks, and shoes or a colour match between shirt and sock, but being more of a clothes dandy I go for the reverse. All of my recent purchases have been either from Holt Renfrew in Vancouver or from the UK. 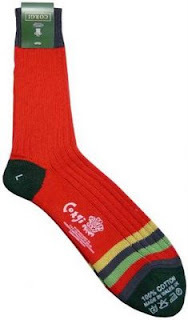 Corgi socks are definitely old school with a heavy emphasis on stripes and school/sport colours. They have been manufactured since 1893 in Western Wales. Paul Smith has gone with the "English" theme of contrasting heel and toe as well as making some beautiful floral patterns. 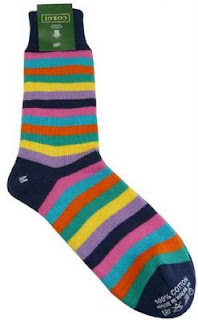 Paul Smith socks are Brit designed and manufactured in Italy. Duchamp of London well known for their powerfully patterned ties and shirts also produces some lovely bold and funky socks. 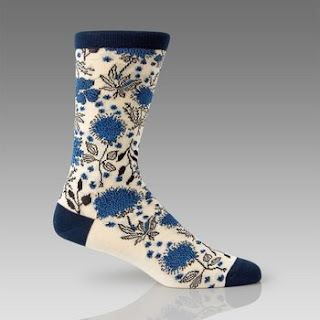 Pantherella socks although abit more conservative are well made socks that have been manufactured in Leicester since 1937 using a high proportion of luxury materials such as cashmere. A small selection of Pantherella and Duchamp are sold at Vancouver's Holt Renfrew. 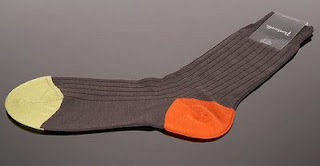 Paul Smith and Corgi can be purchased on line at leading men's retailers. you should go for pierre marcolini as they are the best producer left, Pantharella has really gone downhill in quality. Thank you very much for the tip. I'll search them out on my next trip back to the UK. I do not think they are available in Vancouver. Pantherella are in my opinion still the best sock company the designs are more contemporary than previous years and the quality unbeatable!